Bacon and Brown Sugar…two of my favorite things come together in this Black Pepper Candied Bacon. 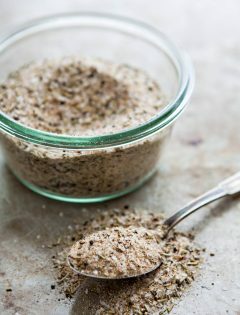 Spicy black pepper pairs perfectly with salty, savory bacon and sweet, golden brown sugar. Black Pepper Candied Bacon is a super easy treat to make this holiday season for friends and family. This post was written in partnership with Farmland Bacon. I have been compensated for my time, but all opinions are my own. This time of year I am always struck with the feeling of wanting to give something back. I get a little frustrated because I don’t always know how to get involved in my community. I’m always happy to help a friend in need, but sometimes I want to do more. Something a little more than just doing what I consider being a good human being. I’d like to make a difference for someone who doesn’t get to enjoy so many of the luxuries that my kids and I do. Because I realize that even though money can often be tight in our house these days and I have to focus a lot more on what we really need than what we really want, I still live in a nice house in a really nice neighborhood. I drive a decent car that works. We have clothes we need and food to eat. My kids are happy and have plenty of friends and toys to play with. We don’t really need more stuff. But there are a lot of people who are not feeling the creature comforts of life the way I do. 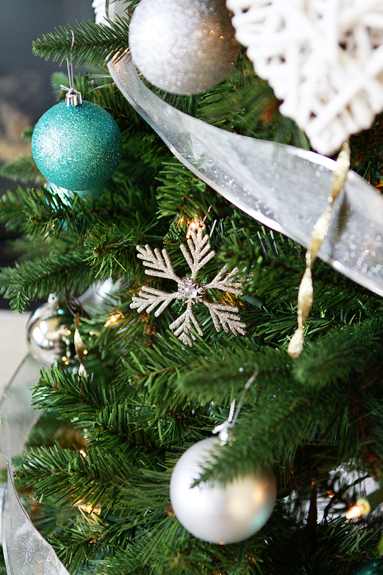 Families who at the end of the year aren’t feeling great about making it through another year. Parents who maybe can’t afford Christmas presents for their kids or the groceries to put a really nice holiday meal on the table. And that’s why I’ve partnered with Farmland to spread the word about their Bacon for Santa campaign that supports the Food Bank of the Rockies, a local Denver food bank. I don’t have a lot of extra financial resources to adopt another family for Christmas, or make a large financial donation to a local charity that helps families during this time of year. But, I can support and spread the word about efforts like this. Farmland has teamed up with former Denver Bronco and current ESPN sportscaster Mark Schlereth to let you know that while milk and cookies are great, what Santa really wants this year is bacon! And how does that help fight hunger in the Denver area this holiday season? Farmland wants to donate one pound of protein to Food Bank of the Rockies, up to 25,000 pounds total, for every person that pledges to leave bacon for Santa this Christmas Eve. Pledge to leave Bacon for Santa at your house this Christmas Eve. 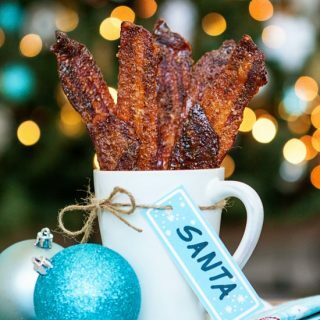 It is simple, all you have to do is share on your own social media pages that you plan to leave Bacon (maybe this recipe for Black Pepper Candied Bacon) for Santa in lieu of cookies this year. Make sure to include the hashtag #BaconForSanta in your posts and post before December 24th. Every time you use the hashtag #BaconForSanta on social media Farmland will make a donation to a local food bank. How great (and easy!) is that? If you’d like to learn more about Bacon for Santa, you can check out this fun video from Santa himself. 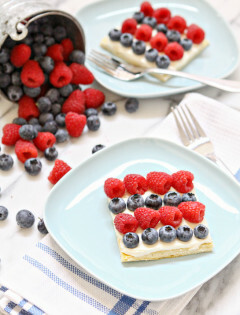 Kids will love making (and eating!) 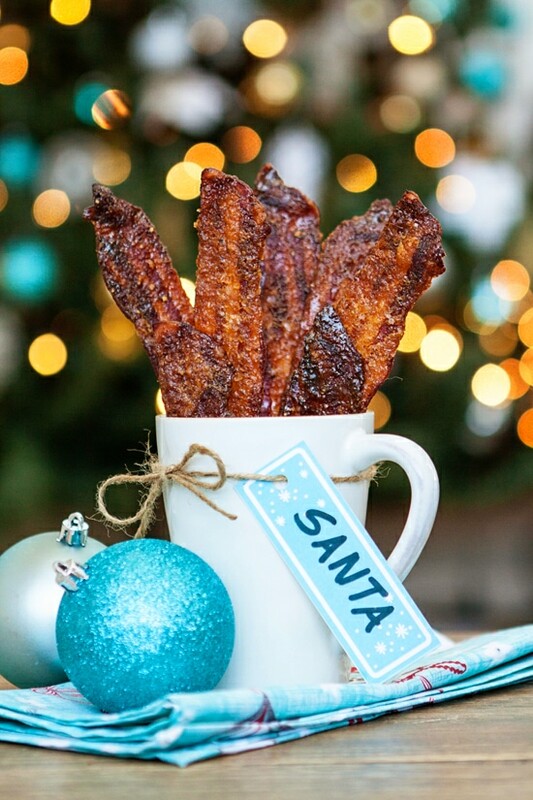 this Black Pepper Candied Bacon for Santa. Just head over to Farmland’s website. You can also enter to win a Santa Bacon sweater! It isn’t a lot, but every share adds up and eventually, together, we can all make a pretty big impact. Do you need some inspiration? 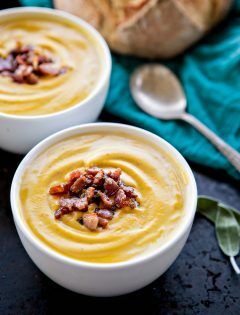 I bet Santa would love any of these tasty bacon recipes! 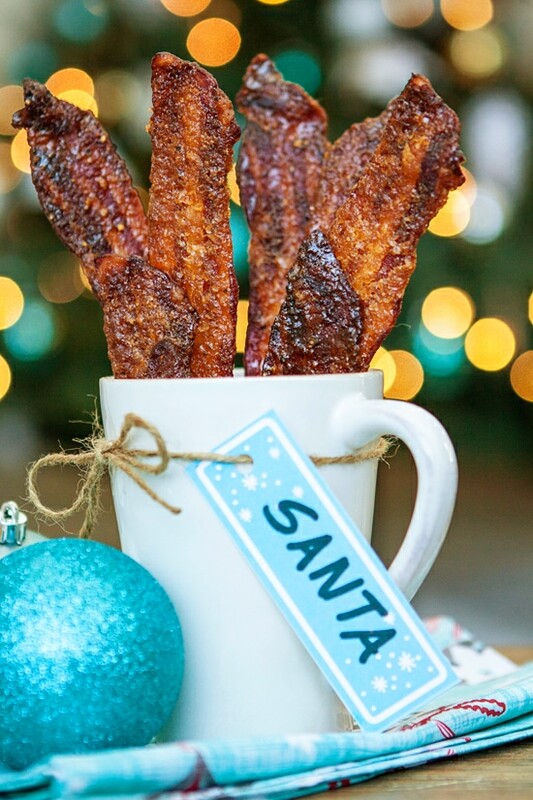 Will you leave bacon for Santa this Christmas Eve? Spicy black pepper pairs perfectly with salty, savory bacon and sweet, golden brown sugar. Black Pepper Candied Bacon is a super easy treat to make this holiday season for friends and family. Maybe even for Santa! Line a baking pan with foil. Place a wire rack, such as a cookie cooling rack or broiler tray, on top of the lined pan. Brush it with the canola oil to lightly grease the pan. Lay the bacon on top of the greased wire rack. Then, using a pastry brush, glaze the tops of the bacon with the maple syrup. Sprinkle the bacon with the black pepper, then the brown sugar, gently pressing the sugar into the bacon. Bake the bacon on the center rack in the oven for 25 - 35 minutes, until it has reached your desired crispness. Transfer cooked bacon to a plate to cool, not a paper towel (it will stick to a paper towel). Leftovers should be stored refrigerated. I have been compensated for my time in creating this recipe for Black Pepper Candied Bacon for Santa, but all opinions are my own. oh wow Katie!! I know a few people who would love this for a gift!! I’ll have to add this to our Christmas morning menu! This is so awesome! OMG! My kids will get SUCH a kick out of leaving some bacon for Santa! Haha, right?! That would be awesome! Candied bacon is always a good idea! Seriously, I’m drooling over here! I think Santa would LOVE this as much as I would!